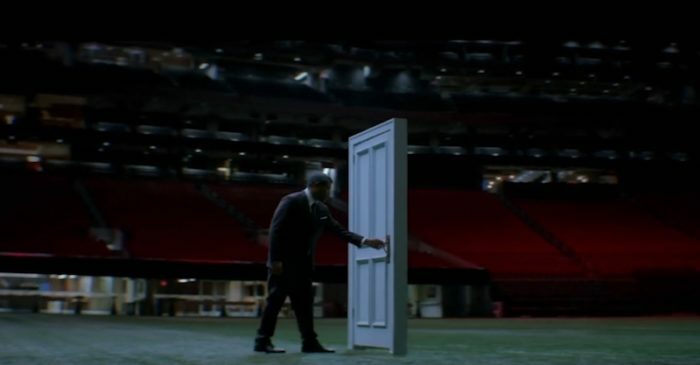 “CBS is off the air.” That’s how the Super Bowl trailer for The Twilight Zone begins, as the reboot of the iconic anthology series brilliantly taps into the eerie spectacle of the Super Bowl suddenly being transformed into an empty stadium – right in the middle of the game. Onto the pitch walks new host Jordan Peele, stepping into Rod Serling’s shoes. The new incarnation of the classic show is produced by Peele’s Monkeypaw Productions alongside Simon Kinberg’s Genre Films for CBS All Access, CBS’ streaming platform. Speaking last year, after he was confirmed as the new presenter, Peele described The Twilight Zone as “a show that I think is needed right now because it’s a show that has always helped us look at ourselves, hold a mirror up to society”. “When truth is not the truth, what dimension are you even in?” he asks in the new teaser – and, fittingly enough, that topical nod sets The Twilight Zone up for the perfect premiere date in the USA: 1st April 2019. There’s still no confirmed UK broadcaster for the show, but with spring on the way, and the marketing starting to ramp up, expect word on a release date and UK TV home soon. “You’re traveling through another dimension, a dimension not only of sight and sound but of mind…” If you’re starting to get deja vu, you’re not the only one – Rod Serling’s iconic opening narration to The Twilight Zone is one of the most famous bits of voiceover in TV history. Now, a new teaser trailer gives us a brief glimpse of what the rebooted voiceover will sound like – and the answer is a lot like Jordan Peele. The Get Out writer and director will step into Serling’s shoes to host and narrate The Twilight Zone in a new incarnation of the series. The revival, which was announced last year, is being produced by Peele’s Monkeypaw Productions alongside Simon Kinberg’s Genre Films for CBS All Access, CBS’ streaming platform. 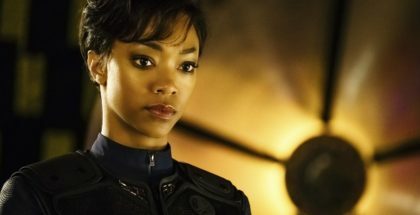 The subscription service is already home to The Good Fight and Star Trek: Discovery, and CBS will be banking on another in-built audience to make its latest series a success – not to mention the input from Peele, whose Oscar-winning horror proved a sharp satire as well as a creepy, relatable tale. The first teaser for the project was posted by Peele today online, with his voice winding into that of Serling’s, before the show’s release is confirmed as being in 2019. Peele will exec-produce the series alongside Marco Ramirez (Daredevil). There is no word yet on who will snap up the UK rights to The Twilight Zone: so far, CBS All Access’ The Good Fight has aired on More4, while Star Trek: Discovery airs on Netflix. Streaming service CBS All Access is reportedly looking to bring back The Twilight Zone, with Jordan Peele attached. The iconic series, created by Rod Serling, is one of the most well-known shows in telly history, with its anthology of bite-sized sci-fi tales scaring, surprising and entertaining in equal measure. It originally ran on CBS from 1959 to 1964, with CBS Television Studios still holding the rights to the show. Now, CBS has announced that it is working on a new take on the show. CBS rebooting a famed sci-fi property for a modern audience? 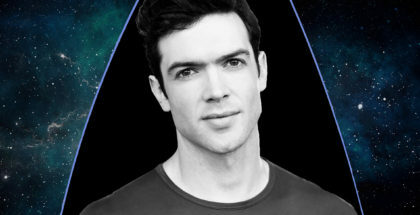 If that rings a bell, it’s no coincidence, as CBS has recently seen stellar success with its new series, Star Trek: Discovery. The show, which airs exclusively on CBS All Access, has driven a huge boost to the broadcaster’s streaming platform, with a record number of subscriptions alongside its launch this autumn. The show has already been renewed for a second season. Now, CBS is hoping to repeat the same trick for its subscription VOD service, banking on The Twilight Zone’s brand appeal to build a growing library of popular streaming titles. 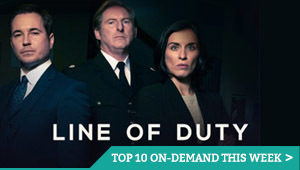 The service’s current line-up also includes The Good Fight (a spin-off from The Good Wife), Strange Angel and No Activity. CBS revealed the project in an earnings call this week. While it is not yet clear whether the series has been ordered straight to series or is merely in development stages, THR reports that sources say Jordan Peele’s Monkeypaw banner is behind the reboot, with Daredevil’s Marco Ramirez on board as writer and showrunner. The latter has not yet been confirmed by CBS, but tapping Netflix-proven talent to go with the Get Out helmer makes for a convincing behind-the-camera double-act. This is not the first time that CBS has tried to revive The Twilight Zone, with Bryan Singer temporarily attached to an attempted reboot in 2012 and a three-season revival in 2002, with Forest Whitaker as a host. The show is also being turned into a stage play this Christmas in London’s Almeida Theatre, demonstrating the franchise’s enduring appeal. Audiences, meanwhile, have shown an appetite for anthology formats in a world of binge-heavy box sets, from Charlie Brooker’s Black Mirror to BBC’s Inside No. 9 and Netflix’s Easy, by Joe Swanberg. With Netflix snapping up Star Trek: Discovery, and already having a deal in place for other CBS shows – not to mention its decision to acquire Brooker’s Black Mirror from Channel 4 – it is likely that The Twilight Zone could end up on the streaming service in the UK. We’ll bring you more news on the project as it comes.